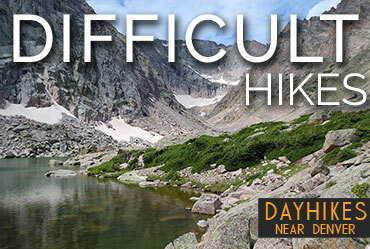 With numerous hikes to choose from in Colorado, we’ve sorted out by difficulty level. From easy, beginner hikes, to longer hikes with difficult terrain, you’ll be able to explore and find the hike best-suited to your goals. 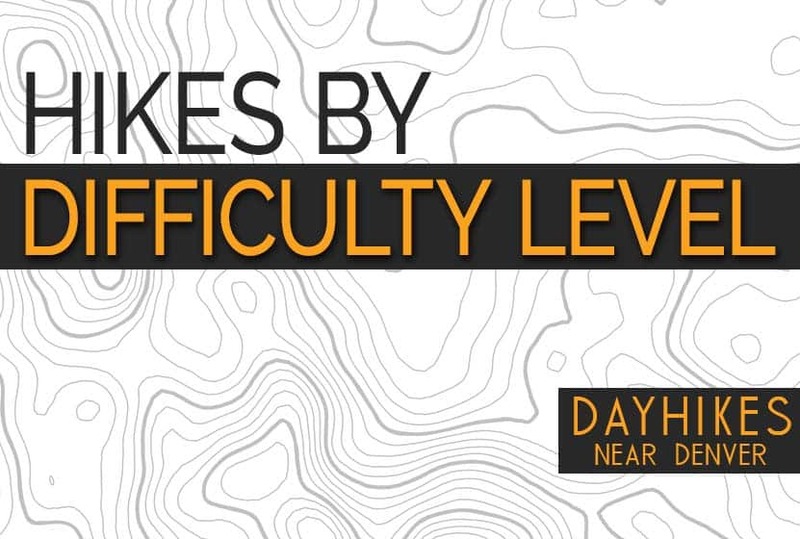 With each hike level, you’ll find the criteria we use to classify the difficulty of each hike. We’ve also provide a set of handpicked Top-5 Hikes lists for each difficulty level. It’s important to know that difficulty levels will vary by person. An easy hike for those who are in great shape and acclimatized to higher altitudes may be a very difficult hike for someone who is traveling to Colorado from out-of-state. Some hikes have a range of difficulty, depending on what segments you may choose to hike. If you have health concerns, be sure to consult with a physician before embarking on one of these adventures. Also, remember that nature changes the landscape, and trail damage can occur overnight–even in a matter of moments–when under extreme circumstances, changing the difficulty level of any hike. These easy hikes may be a great fit for for beginner hikers or those visiting from out-of-state. In our Top 5 set, you’ll discover several hikes that require less the effort but offer rewarding views and features. Distance: Typically under 5 miles and usually under 3 miles in total distance. Elevation: Typically under 500 feet of elevation gain. However, 500′ of elevation gain can be very demanding over a short distance. This means that some short hikes with rapid elevation gain may be classified as difficult or moderate. Terrain: Typically well-maintained with clear signage. 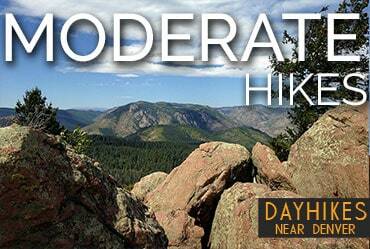 These moderate hikes near Denver are the “somewhere in between” trails. These hikes are definitely for avoid the monotonous and the extremes, but also require more effort. But demand usually = the payoff of incredible views and destinations. These 60+ moderate Colorado hikes boast destinations to waterfalls, lakes, and incredible panoramic views. Elevation: Typically 500′ to 2000′ of elevation gain. These difficult hikes are for the experienced hikers who possess certain hiking skills and are willing to endure the demand of longer trails and greater elevation gains. All dayhikers should pack the 10-Essentials, but because these hikes lead deeper into the backcountry, hikers may want to pack additional MVP Gear. See our Hiking Guide for packing list and other hiking destination recommendations. Elevation: Typically 1000+’ of elevation gain. Terrain: Sometimes require land navigation skills and route-finding (map and compass/gps) because of unmarked and unmaintained trails. Terrain may require scrambling. 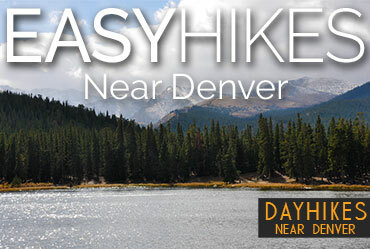 No hikes on Dayhikes Near Denver require climbing.